Windmill Harbour features a 15-acre inland harbor, which provides more than 75 percent of its property owners breathtaking waterviews and easy access to the sound and sea beyond. 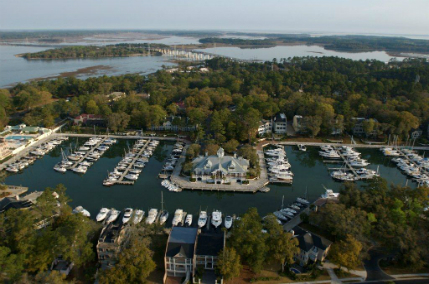 Windmill Harbour is also the home of the South Carolina Yacht Club, a 250-slip marina and lock system and an active tennis community. Windmill Harbour exhibits a true Southern style. With many residences reminiscent of historical Charleston, the designs include light, colorful stucco exteriors, brick accents, black wrought iron trim, porches, shutters and grand staircases.